As parents, determining how best to protect our children can be overwhelming and confusing because of the volume of information available on the internet about vaccines. Even the bad information can look and sound credible and science‑based. What and who should parents believe? The answers below to some of the most frequent questions parents ask about vaccines are based only on credible medical research and science from the most trusted and respected physicians, research and public health organizations across the globe. The answers also draw attention to some of the “bad science” about vaccines that has confused and alarmed so many parents, even after those studies were exposed as fraudulent and untrue. The good news is that while many parents have questions about vaccines, most do choose to protect their child through vaccination and discuss questions with their child’s health care provider. Read the Most Commonly Asked Questions. What are each of the recommended vaccines and what do they do? These vaccines are given by injection (shot), except for rotavirus, which is a liquid that is swallowed. Vaccines aren’t just for infants—adolescents and adults need vaccines to stay healthy and help strengthen community immunity. Please see the recommended vaccination schedules for children, adolescents and adults in our Resources section. How well-tested are these vaccines? Currently, the United States has the safest, most effective vaccine supply in its history. 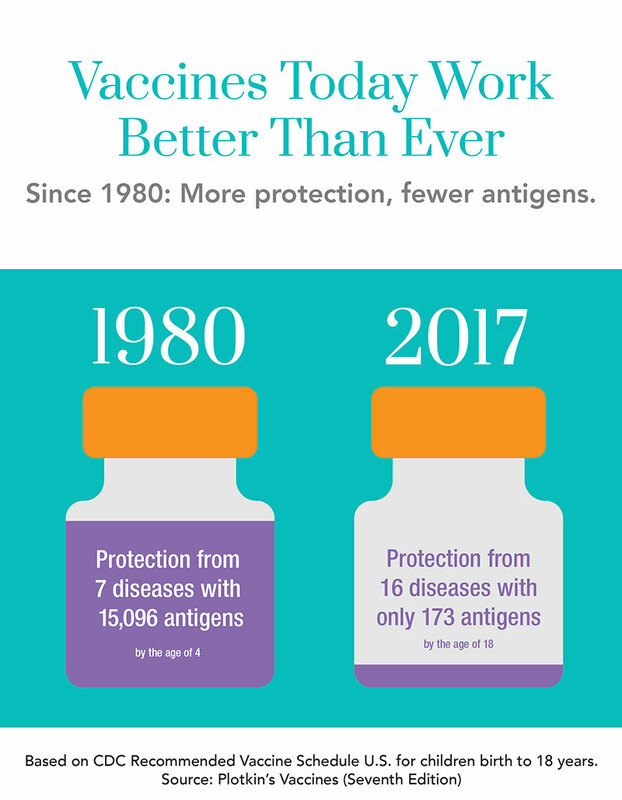 Hundreds of medical studies completed over many decades by credible and respected doctors and scientists across the world have found that vaccines are safe for the overwhelming majority of children and adults. Clinical trials are conducted to evaluate the safety and effectiveness of a vaccine before it can be brought to market. Vaccines are first tested in laboratory studies and animal studies. Learn more about how vaccines are developed. If the results indicate the vaccine is safe, additional testing in people must be done before the vaccine can be approved by the Food and Drug Administration. Learn more about how vaccines are licensed. Vaccine safety is a shared responsibility among the federal government, state and local health departments, health care providers and the public. To help meet this shared responsibility, government agencies and their partners have established several coordinated systems to monitor the safety of vaccines after they have been licensed for public use. These systems, such as the Vaccine Adverse Event Reporting System and the Vaccine Safety Datalink Project, are used together to help scientists monitor the safety of vaccines. Do vaccines protect for a lifetime? To provide the best protection, some vaccines require an additional dose or doses as we get older. For example, the pertussis vaccine offers a good level of protection within the first two years of getting vaccinated, but then protection decreases over time. This is known as waning immunity, which is the loss of protective antibodies over time. Similarly, actually getting the disease and developing antibodies through the infection may only protect you for a few years. This is why it’s so important to follow the Centers for Disease Control and Prevention (CDC) recommended immunization schedule. For example, the pertussis vaccine includes shots at 2, 4 and 6 months of age, with booster shots at between 15 and 18 months old and between 4 and 6 years old, in order to be fully vaccinated. 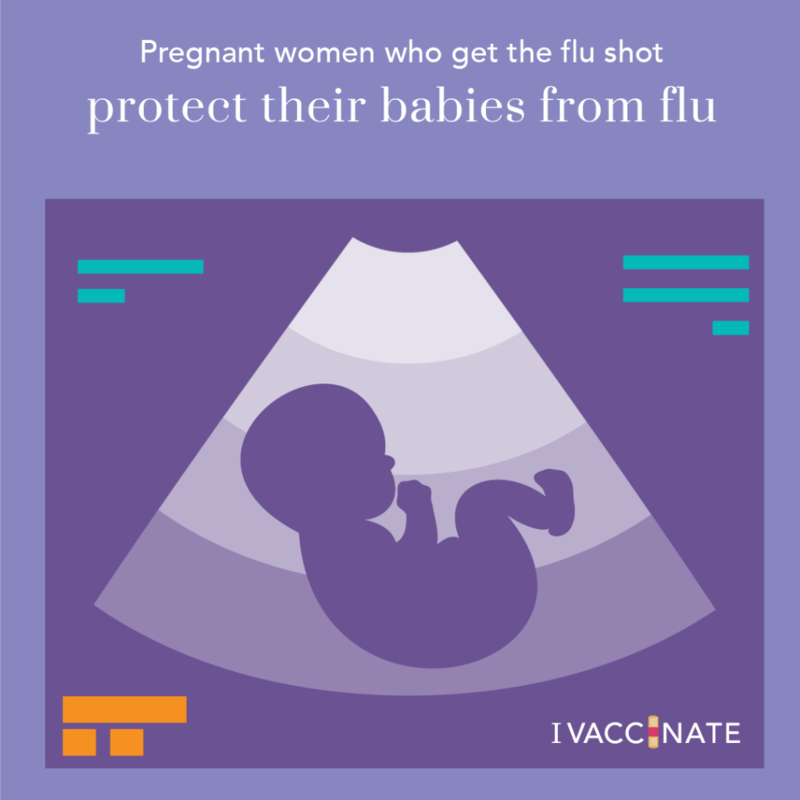 In addition, adults are encouraged to stay up-to-date on their vaccinations, especially pregnant women, parents and people interacting with infants and children. See the CDC’s recommended immunization schedule for adults. Vaccines also are not perfect. Depending on the vaccine, about 1 percent to 5 percent of children who are vaccinated fail to develop immunity. If these children are exposed to that disease, they could get sick. Sometimes giving an additional vaccine dose will stimulate an immune response in a child who didn’t respond to the first dose. For example, a single dose of measles vaccine protects about 95 percent of children, but after two doses, almost 100 percent are immune. Sometimes a child is exposed to a disease just prior to being vaccinated, and gets sick before the vaccine has had time to work. Sometimes a child gets sick with something that is similar to a disease they have been vaccinated against. This often happens with flu. Many viruses cause symptoms that look like flu, and people even call some of them flu, even though they are really something else. Flu vaccine doesn’t create immunity to these viruses (like the common cold). The Centers for Disease Control and Prevention sets the U.S. childhood immunization schedule based on recommendations from the Advisory Committee on Immunization Practices (ACIP) — a group of medical and public health experts. This schedule also is approved by some of the nation’s top medical doctors at the American Academy of Pediatrics and the American Academy of Family Physicians. To develop recommendations for each vaccine, ACIP works year-round, reviewing available data on new and existing vaccines and diseases. The safety and effectiveness of the vaccine when given at specific ages: Only vaccines licensed by the Food and Drug Administration are recommended, and vaccine makers must conduct detailed tests to show that a vaccine is safe and effective at specific ages. The severity of the disease: Vaccines recommended for children prevent diseases that can be serious for them, potentially causing long-term health problems or death. How many children get the disease if there is no vaccine: Vaccines that do not provide benefit to many children may not be recommended. The differences in how well a vaccine works for children of different ages: The ability of vaccines to help the body produce immunity can vary depending on the age of the child receiving the vaccine. Learn more about ACIP considerations in the vaccine recommendation process, including recommended ages for administration of various vaccines to children. What is Guillain-Barré and can vaccines cause it? Guillain-Barré syndrome (GBS) is a rare disorder in which a person’s own immune system damages their nerve cells, causing muscle weakness and sometimes paralysis. It often follows infection with a virus or bacteria. Most people recover fully from GBS, but some people have permanent nerve damage. In the United States, about 3,000 to 6,000 people develop GBS each year, whether or not they received a vaccination. Vaccine safety monitoring systems are used to investigate cases of GBS that start after vaccination. Tracking vaccine safety is a high priority for the Centers for Disease Control and Prevention. Several systems are in place to monitor vaccine safety. Can my child get a disease even after being vaccinated? It isn’t very common, but it can happen. Depending on the vaccine, about 1 percent to 5 percent of children who are vaccinated fail to develop immunity. For very few people, underlying illnesses may affect their immune system response and in turn, they may require additional vaccination or protection. Sometimes giving an additional vaccine dose will stimulate an immune response in a child who didn’t respond to the first dose. For example, a single dose of measles vaccine protects about 95 percent of children, but after two doses, almost 100 percent are immune. Some vaccines, like the pertussis (whooping cough) vaccines, are effective but not perfect. They typically offer good levels of protection within the first two years of getting vaccinated, but then protection decreases over time. This is known as waning immunity, which is the loss of protective antibodies over time. Similarly, natural infection may also protect you only for a few years. This is why it’s so important to follow the Centers for Disease Control and Prevention (CDC) recommended immunization schedule. For example, the pertussis vaccine includes shots at 2, 4 and 6 months of age, with booster shots at between 15 and 18 months old and between 4 and 6 years old, in order to be fully vaccinated. And the CDC recommends the tetanus-diphtheria-pertussis (Tdap) shot for everyone 11 years old and older, including pregnant women. Can my child actually get the disease from a vaccine? With an inactivated (killed) vaccine, it isn’t possible. Dead viruses or bacteria can’t cause disease. With live (weakened) vaccines, some children get what appears to be a mild case of disease (for example, what looks like a measles or chickenpox rash, but with only a few spots). This isn’t harmful, and can actually show that the vaccine is working. A vaccine causing full-blown disease is extremely unlikely. Whenever children are brought into group settings, there is a chance for diseases to spread. Children must follow state vaccine laws to attend school. These laws are the minimum standard to help prevent disease outbreaks in school settings. The best way to protect your child from other serious diseases is to follow the Centers for Disease Control and Prevention recommended vaccination schedule. Talk to your health care provider to make sure your child is fully protected. Click here to learn more about required vaccines for child care and preschool. Click here to learn more about required vaccines for school entry in Michigan. Will the flu vaccine give me or my child the flu? A flu shot cannot cause flu illness. The flu vaccine does not have a live virus in it, so it is impossible to get the flu from the vaccine. The most common side effects from the flu shot are soreness, redness, tenderness or swelling where the shot was given. Low-grade fever, headache and muscle aches also may occur. These are expected side effects from the vaccine and generally do not last long. These reactions should not be misinterpreted as getting sick with flu from the vaccine. The most common reactions people have to the flu vaccine are considerably less severe than the symptoms caused by actual flu illness. In randomized, blinded studies, where some adults get inactivated flu shots and others get salt-water shots, the only differences in symptoms was increased soreness in the arm and redness at the injection site among people who got the flu shot. There were no differences in terms of body aches, fever, cough, runny nose or sore throat. Serious allergic reactions to flu vaccines are very rare. If they do occur, it is usually within a few minutes to a few hours after the vaccination. If you have questions or concerns about the flu vaccine, be sure to talk to your child’s doctor. 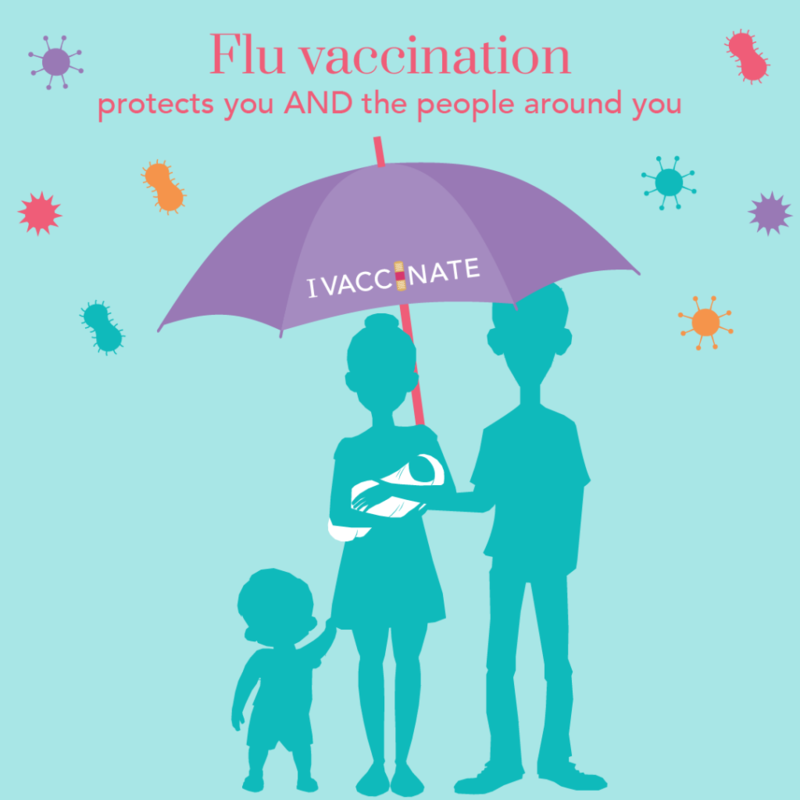 Making sure you and your family are vaccinated each year is the safest way to protect them against the flu. But sometimes, people might get flu symptoms even though they have been vaccinated against the flu. People can get sick from other respiratory viruses such as rhinoviruses (which are associated with the common cold) and cause symptoms similar to the flu and also spread during flu season. The flu vaccine only protects against influenza, not other illnesses. Another explanation is that it is possible to be exposed to influenza viruses, which cause the flu, shortly before getting vaccinated or during the two-week period after vaccination when the body is still developing immune protection. 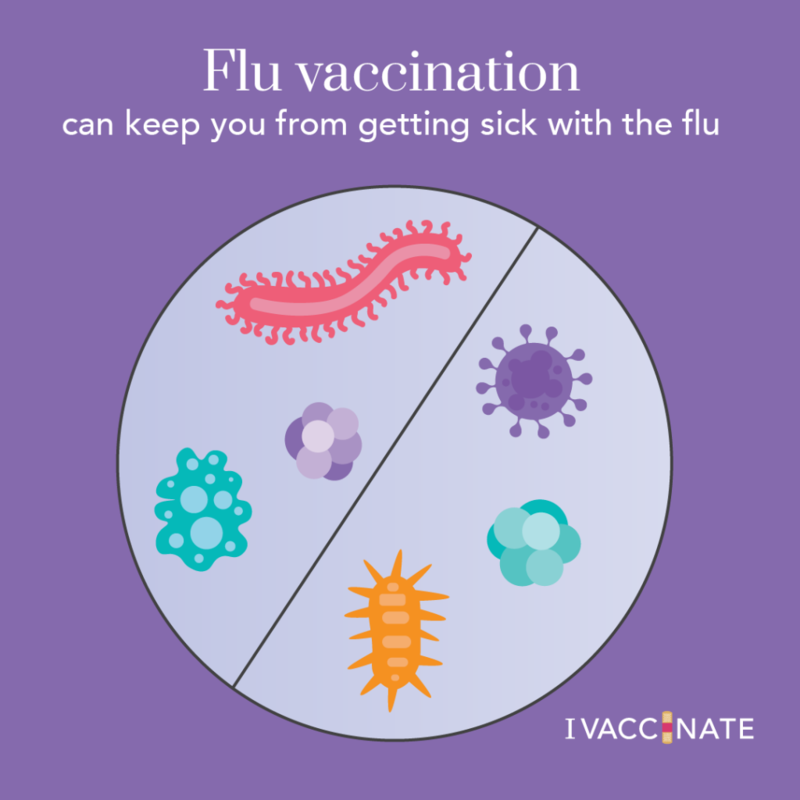 Lastly, people who have been vaccinated may still get the flu if they are exposed to a flu virus that is very different from the viruses the vaccine is designed to protect against. There are many different flu viruses that spread and cause illness among people. For more information, see the Centers for Disease Control and Prevention’s information on different flu viruses. Flu vaccination can keep you out of the hospital. Flu vaccine prevents tens of thousands of hospitalizations each year. For example, during 2016-2017, flu vaccination prevented an estimated 85,000 flu-relatedhospitalizations. 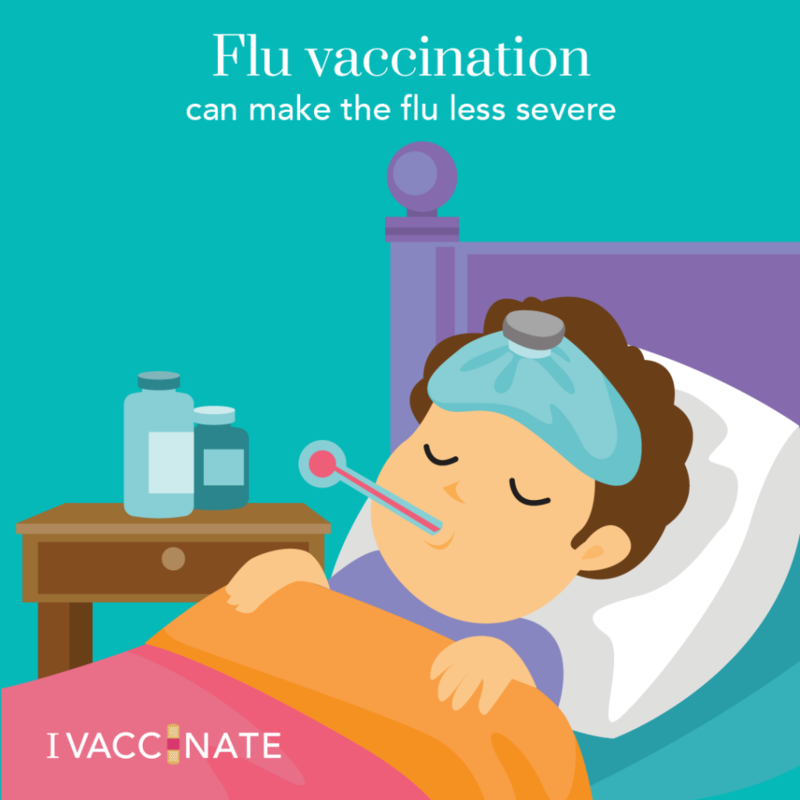 A 2014 study showed that flu vaccine reduced children’s risk of flu-related pediatric intensive care unit (PICU) admission by 74 percent during flu seasons from 2010-2012. In recent years, flu vaccines have reduced the risk of flu-associated hospitalizations among adults on average by about 40 percent. 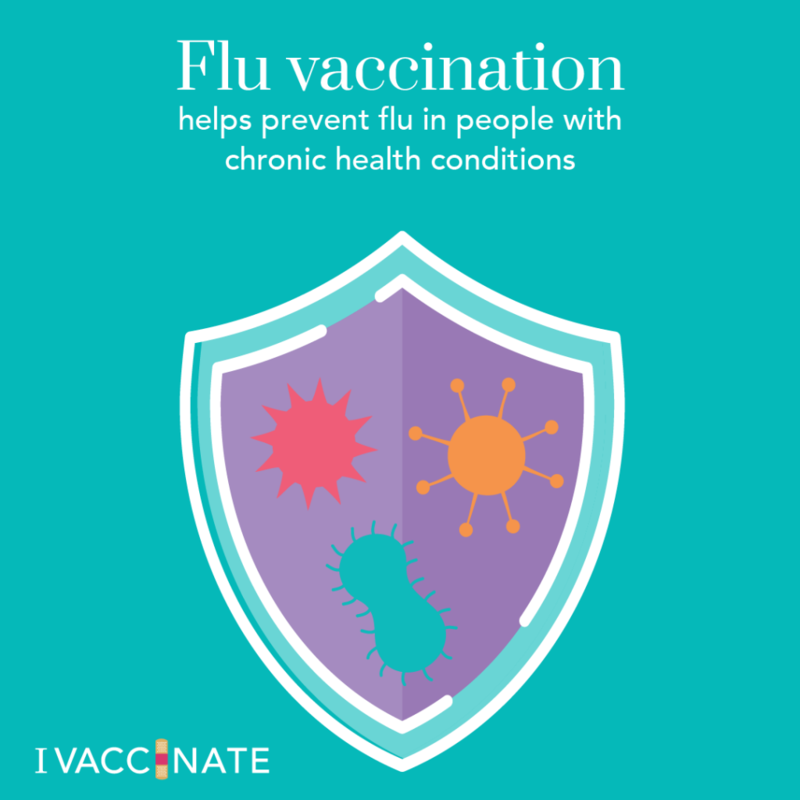 Flu vaccination helps prevent the flu in people with chronic health conditions. 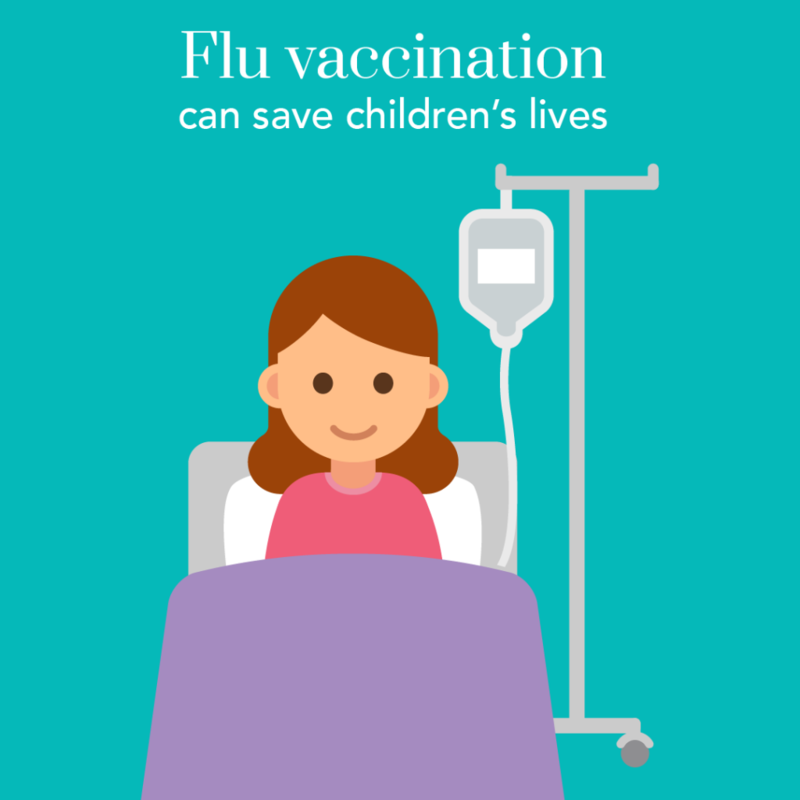 Flu vaccination can save children’s lives. A 2017 study was the first of its kind to show that flu vaccination can significantly reduce a child’s risk of dying from the flu. If you do get sick with the flu, flu vaccination has been shown in several studies to reduce its severity. 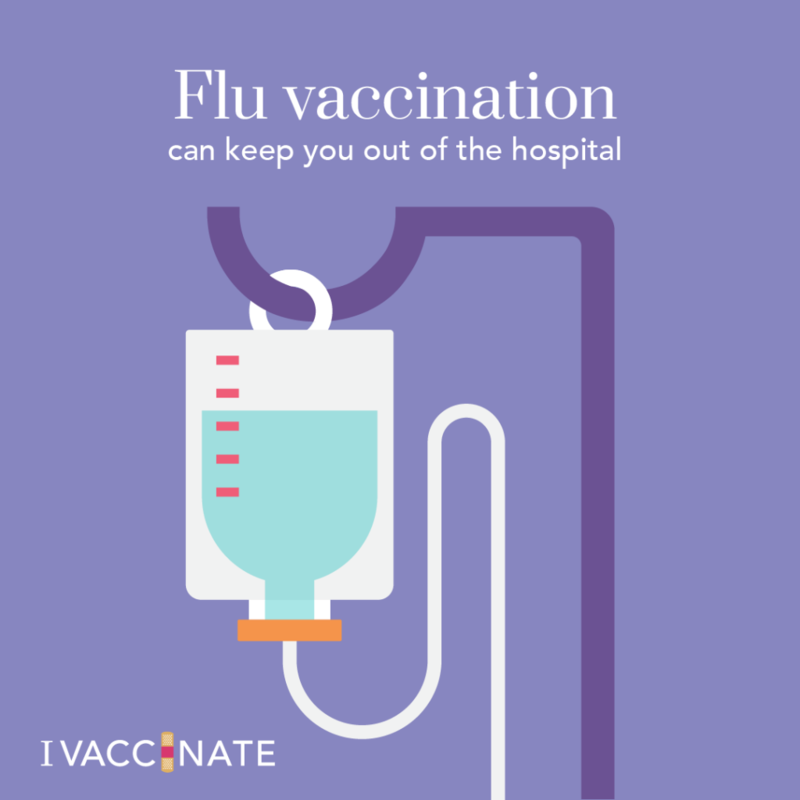 A 2017 study showed that flu vaccination reduced deaths, ICU admissions, ICU length of stay, and overall duration of hospitalization among hospitalized flu patients. …including those who are more at risk for serious complications from the flu, like babies and young children, older people and people with certain chronic health conditions. If vaccines undergo years of studies, how is it that a new annual or pandemic flu shot comes out every year? Because influenza viruses are constantly evolving, and the viruses that circulate among people often change from one year to another, flu vaccines change annually. Scientists around the world collect samples to identify which flu strains are most likely to be circulating in the next flu season and here in the United States, we get our flu strains from the southern hemisphere. In February—well before a new flu season begins—the U.S. Food and Drug Administration recommends the different strains of influenza viruses that should be included in vaccines that are going to be produced for the upcoming U.S. flu season starting in the fall. These seed viruses are produced and then distributed to manufacturers to be grown and included in the upcoming flu vaccine. During this vaccine development, manufacturers and the FDA test for potency and safety, as well as quality control tests such as sterility. The process of flu vaccine production stays the same every year and the only thing that changes is the seed strain of influenza that’s estimated to be circulating in the coming year. The process used to produce pandemic vaccine (such as the H1N1 vaccine) is identical to the process for producing any other seasonal flu vaccine. Once a seasonal or pandemic vaccine has been developed and tested, the lots are released in the summer for distribution and use by the public in the fall, typically when flu season begins. Please contact us and let us know. We can answer your questions and add new questions and answers to our list.